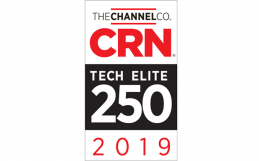 IT Weapons, the IT services division of Konica Minolta Business Solutions (Canada) Ltd., is excited to announce that CRN, a brand of the Channel Company, has named IT Weapons to its 2017 Managed Service Provider 500 (MSP500) list. Each year, The MSP500 list honours the top managed services providers in North America, and this year, IT Weapons was named to the coveted Elite 150 category that recognizes innovative solution providers with a strong and progressive managed services offering. 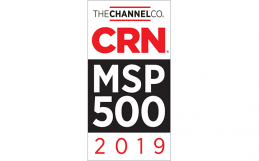 The MSP500 list is divided into three categories: the MSP Pioneer 250, recognizing companies with business models weighted toward managed services and largely focused on the SMB market; the MSP Elite 150, recognizing large, data center-focused MSPs with a strong mix of on-premise and off-premise services; and the Managed Security 100, recognizing MSPs focused primarily on off-premise, cloud-based security services. For more information, follow IT Weapons on LinkedIn, YouTube and Twitter @ITWeapons.